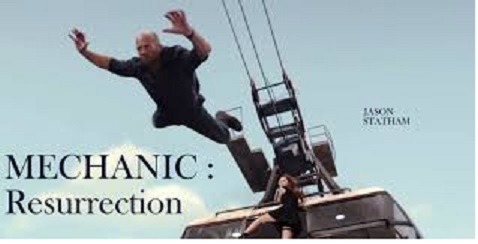 Hammond, Indiana – ME2 Productions Inc. of Carson City, Nevada, filed a lawsuit alleging copyright infringement of the action thriller Mechanic: Resurrection, which has been registered with the U.S. Copyright Office under U.S. Copyright Registration No. PA-1-998-057. The movie, which is the sequel to the 2011 action film Resurrection, stars Jason Statham, Jessica Alba and Tommy Lee Jones. This litigation was commenced in the Northern District of Indiana by a copyright litigator for ME2 Productions. Plaintiff contends that the Doe Defendants are Indiana residents, stating that it determined through the use of geolocation technology that each had an Indiana Internet Protocol address. Plaintiff seeks injunctive relief along with damages, costs and attorneys’ fees. The case was assigned to District Judge Philip P. Simon. and Magistrate Judge Paul R. Cherry in the Northern District as Case No. 2:17-cv-00096-PPS-PRC.